Visitors came from 198 countries and territories, and more than 55 percent of this year’s MWC attendees held senior-level positions, including 7,900 CEOs. 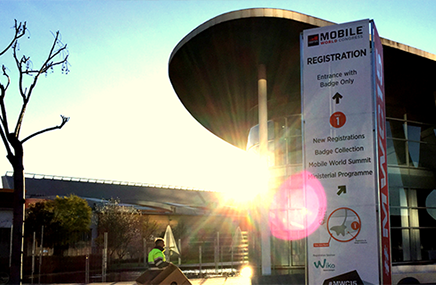 More than 2,400 companies participated at MWC19 across more than 120,000 net square meters of exhibition and hospitality space at Fira Gran Via. Gamma has selected Metaswitch's cloud-native VoWiFi core infrastructure solution, expanding its offerings with a portfolio of advanced and innovative new services to business users in the UK. The Metaswitch solution includes an easily branded VoWiFi client that allows Gamma to extend the service beyond IR.51-compliant devices. Gamma provides a broad range of communication services to small, medium and large-sized businesses, the public sector and not-for-profit organizations. These services include SIP trunks, hosted voice and unified communications, broadband and data connectivity and mobile voice and data. Clearwater vIMS Core – a virtual IMS core built on a microservices architecture and open source framework that runs on any cloud infrastructure. Rhino Telecom Application Server (TAS) – an extensible carrier-grade TAS designed for cost-effective, agile delivery of consumer and enterprise MMTel services for LTE and 5G. Perimeta Session Border Controller (vSBC) – a virtual SBC that distributes signaling and media functionality across commodity hardware in the cloud. Siklu, which specializes in millimeter wave wireless solutions, introduced a 360-degree coverage mesh node as part of its MultiHaul series. The new MultiHaul N360 is topology independent and can be deployed in PtMP or a mesh topology with a built-in wireless backhaul. The node can be installed as an enhanced Base Unit in a PtMP topology, with the advantage of only one install required for >90° coverage and the wireless backhaul connection. If the target region is a neighborhood of Single Family Units, where take rates are uncertain, the N360 can be used as a self-organizing (SON) mesh node, adding nodes as the network expands and densifies. 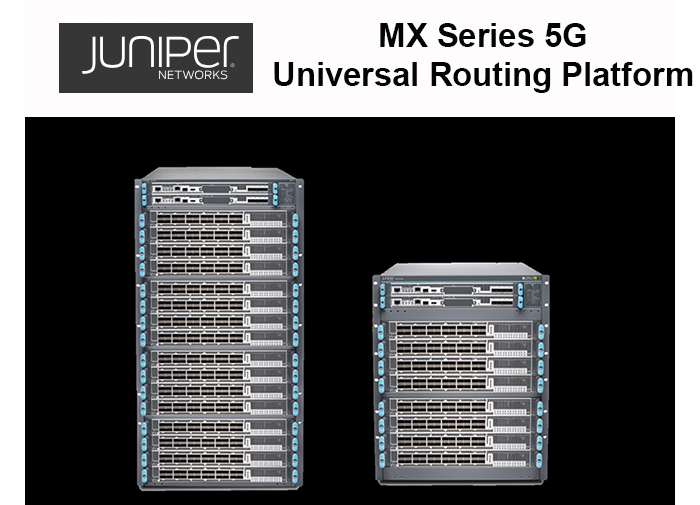 It provides built-in wireless backhaul via other N360 devices or the ability to connect to a network POP via fiber or a Siklu EtherHaul link with up to 10Gbps On the subscriber side, the N360 delivers a gigabit to either of the currently available Siklu MultiHaul Terminal Units. When deployed in a mesh topology, Siklu's self-organizing protocols centrally controlled from SmartHaul SON, ensure "light-touch" deployments and on-going optimizations, eliminating service disruptions. "Siklu continues to be the leader in mmWave systems, offering the broadest portfolio of PTP (EtherHaul™), PtMP (MultiHaul™), SaaS tools and now mesh products in the market." said Eyal Assa, Siklu's CEO. "When deploying Gigabit connections to customers it is not a one size fits all scenario. At Siklu we understand this and with the N360 we continue to provide solutions that deliver robust and sustainable ROIs to carriers and smart cities across the globe." Lenovo Data Center Group (DCG) introduced its ThinkSystem SE350 edge server, the first of a family of edge servers to come from the firm. The company is also showcasing a Multi-Access Edge Computing (MEC) platform along with Wind, WizR, Vertiv and Intel. The new edge server is just slightly larger than a ThinkPad, making it suitable for deployment in tight spaces, mounted on a wall, stacked on a shelf or mounted in a rack. In addition to Ethernet, connectivity options include Wi-Fi and LTE. In IoT, Lenovo is working with Pivot3 to drive smart city capabilities. In collaboration with SecureTech, a leading integrator of video security solutions, Lenovo and Pivot3 helped a leading Middle East hospitality customer secure their sprawling hotel complex meeting their mission-critical requirements for resilience, security and manageability. Ericsson and OPPO, the fifth largest smartphone vendor in the world with business operations in more than 40 markets globally, have signed a global patent license agreement. This initial agreement includes a cross license covering the 2G, 3G and 4G patent portfolios from both companies. OPPO will make on-going royalty payments to Ericsson based on a substantial part of their annual sales. In addition to a cross license, the agreement between OPPO and Ericsson includes business cooperation on a number of projects related to 5G, like device testing, customer engagements, etc. NETSCOUT SYSTEMS' InfiniStreamNG Smart Data platform is now supporting the entire 5G life cycle including planning, rollout, and optimization. The solution can be used ro assure new virtual infrastructures and deploy next-generation services over 5G. NETSCOUT said its Smart Data provides unified, precise and early visibility into the risks to applications and services while addressing technology borders formed within the modern hyper-converged, hybrid cloud environment. The latest release of the ISNG 5G solution is 3GPP Release 15 compliant, with support for non-standalone 5G networks, end-to end, with or without Control and User Plane Separation (CUPS). ISNG provides continuity for existing services by providing monitoring, visibility, and troubleshooting for 4G LTE/5G New Radio (NR) deployment options with or without CUPS. The solution supports virtualization of the mobile network with orchestration, edge-cloud and network slicing, providing carriers with visibility across their complex, hybrid network. Blue Danube Systems, a start-up based in Santa Clara, California, announced significant results from multiple new FDD deployments in commercial networks with live traffic. The company said its multi-unit installations show more than 2.5 times higher cellular capacity and significantly increased user throughputs for both legacy LTE terminals as well as new generation smartphones. 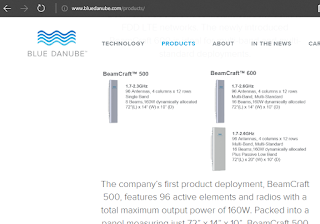 Specifically, Blue Danube’s BeamCraft 500 antennas were deployed in LTE networks in dense urban megacities and other areas with high traffic load nearing full bandwidth utilization. The performance was measured directly from the operators’ network performance management systems. Blue Danube said the test results exhibit increasing gains with the number of units deployed and highlight the benefits of multi-site optimization and coordination. Consistent performance improvements were observed across all multi-site deployments where BeamCraft units faced each other and intercell coordination can be fully exploited, with capacity gains reaching and exceeding 2.5X over the whole cluster. In addition, the Blue Danube deployments increased average user download speeds and extended 4G LTE service to previously underserved areas, providing improved indoor coverage to high demand location including hospitals, mass transit terminals and high-rise buildings with vertical beamforming. 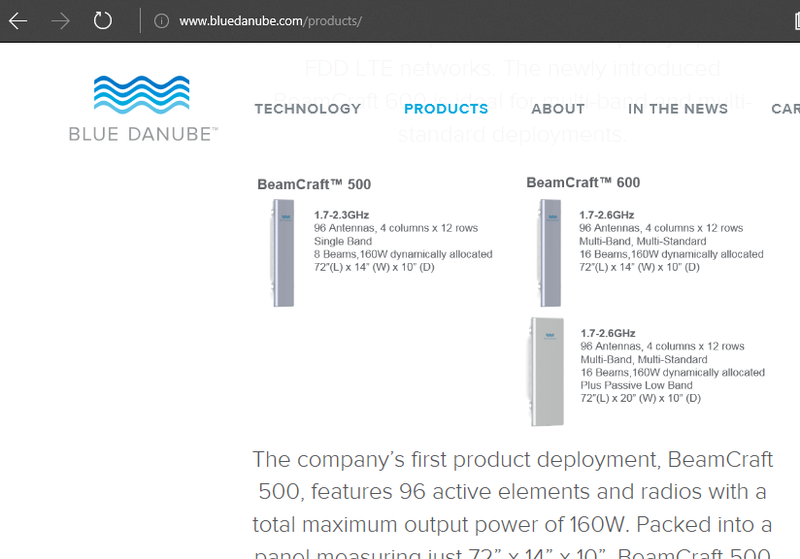 Blue Danube’s Coherent Massive MIMO system has been deployed by five 4G LTE operators worldwide and has been in commercial network operation in North America since 2016 serving thousands of users and carrying hundreds of gigabytes of data traffic daily. Qualcomm introduced its first 5G customer premise equipment (CPE) reference design for sub-6 GHz and millimeter wave (mmWave) 5G fixed wireless broadband (FWB) products. The reference design features the newly announced second generation Qualcomm Snapdragon X55 5G modem and next-generation Qualcomm RF front-end (RFFE) components and modules for sub-6GHzand mmWave deployments, providing a 5G modem-to-antenna solution. "Qualcomm Technologies is committed to enabling our customers to develop the next-generation of 5G products and services and this reference design will allow manufacturers and ISPs to accelerate the deployment of fixed wireless broadband services using 5G,” said Durga Malladi, senior vice president and general manager, 4G/5G, Qualcomm. Rakuten upcoming next-generation end-to-end cloud-native mobile network across Japan will use small cells based on Qualcomm FSM Small Cell Platforms. Rakuten plans to utilize small cells to reduce site acquisition and deployment cost and to provide indoor capacity. Rakuten will leverage network virtualization and small cells from the start and thereby create a network that can be scaled easily and deliver on the promise of 5G experiences to subscribers. Qualcomm's solution offers advanced LTE features and a roadmap towards 5G-NR via the FSM Small Cell 5G Platform. “We are very excited to work with leading technology leaders such as Qualcomm Technologies as we advance towards realizing our vision of creating the world’s first end-to-end cloud-native mobile network,” said Tareq Amin, chief technology officer of Rakuten Mobile Network, Inc.
“By designing a new mobile network with small cells as a key component, and with 5G-readiness in mind, Rakuten can intelligently deliver 4G LTE and 5G performance where it is needed to bring enhanced experiences for their subscribers,” said Rahul Patel, senior vice president and general manager, connectivity and networking, Qualcomm Technologies. Anritsu submitted the industry's first Protocol Conformance test in the Sub-6 GHz Frequency Range 1 (FR1) to 3GPP RAN5 working group for approval. The test defined by 3GPP TS38.523 has been verified with the Exynos Modem 5100 5G New Radio (NR) modem developed by Samsung's System LSI Business on the Anritsu ME7834NR Protocol Conformance test system. Anritsu offers a test platform for 3GPP-based Protocol Conformance Test (PCT) and Carrier Acceptance Testing (CAT) of mobile devices incorporating Multiple Radio Access Technologies (RAT). It supports 5G NR in both Standalone (SA) and Non-Standalone (NSA) mode, in addition to LTE, LTE-Advanced (LTE-A), LTE-A Pro, and W-CDMA. When combined with Anritsu's new OTA chamber MA8171A and RF converters, the ME7834NR covers the sub-6 GHz and millimeter wave (mmWave) 5G frequency bands. "Anritsu continues to support our leading-edge technology development by providing quick access to the latest features on their test solutions," said Woonhaing Hur, Vice President of System LSI Protocol Development at Samsung Electronics. "5G is evolving at a much faster pace than previous technologies, and I am pleased to see that Anritsu is keeping ahead of the evolution as they did during LTE-Advanced and LTE-Advanced Pro." "We are proud that Samsung continues to rely on our test solutions," said Mr. Tsutomu Tokuke, General Manager of Anritsu's Mobile Solutions Division. "Our collaboration with Samsung has helped us achieve yet another important industry milestone in the journey towards 5G NR commercialization." Nokia announced two additions to its AirScale small cells portfolio that extend the high performance of 5G both indoors and outdoors and support a wide range of use cases. A new compact millimeter wave (mmWave) radio supports 28 GHz and 39 GHz bands to provide extreme high-capacity for the busiest traffic locations, such as airports, stadiums and busy pedestrian zones. It allows 180-degree, 360-degree and multi-band deployments to provide flexible coverage that meets mmWave radio signal attenuation challenges. It offers support for eCPRI connectivity to a distributed data center provides high capacity fronthaul. A new 5G pico Remote Radio Head for the Nokia AirScale Indoor Radio System enables an upgrade of indoor coverage to 5G without replacing installed hardware, even in complex buildings such as hospitals and shopping malls. The new 5G pico Remote Radio Head supports sub-6 GHz. It is deployable on an existing Distributed Antenna System. It provides high 4 x 250 mW output power for a wide coverage area. In addition, a new dual port Ethernet extender allows pico Remote Radio Heads to be located up to 200m away from the smart HUB for even greater deployment flexibility. Mark Atkinson, Head of 5G and Small Cells of Nokia said: "Small cells are perfectly suited for using 5G mmWave and mid-bands to deliver very high capacity to support the busiest traffic areas and ensure subscribers always enjoy the highest quality services. We are building on our small cells leadership to enable operators to deploy almost any scenario of 4G indoor and outdoor capacity and coverage that can be upgraded to 5G New Radio using a choice of spectrum bands." Nokia unveiled its new FastMile 5G Gateway for residential and business Fixed Wireless Access (FWA) rollouts. Optus is testing the FastMile 5G indoor gateway in a live network to simultaneous stream multiple 4K video services to select residential customers in Australia. The indoor device connects wirelessly to the mobile network using either 3GPP compliant 5G New Radio (NR) or 4G signals. 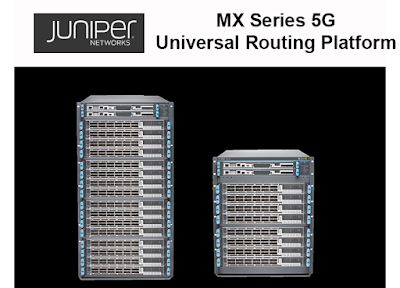 It offers carrier aggregation capabilities and can deliver peak speeds of 1 Gbps. Nokia said its FastMile 5G Gateway maximizes spectral assets and uses the industry's highest gain (11dBi) antenna to deliver up to twice the indoor coverage, three times the downlink capacity and five times the uplink capacity compared to traditional designs. 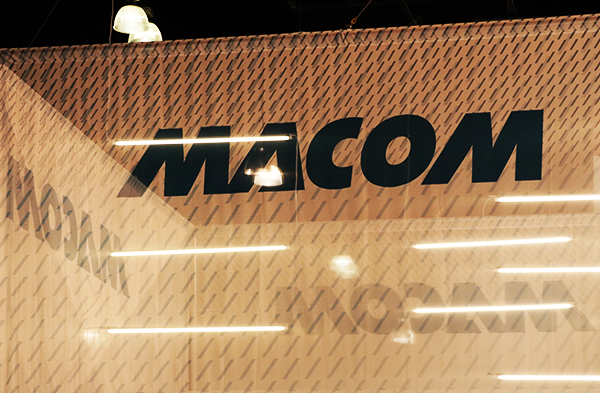 Pivotal Commware has integrted MACOM’s mmWave products manufactured with MACOM’s unique ‘GaAs’ and ‘AlGaAs’ process technology, inside Pivotal’s Echo 5G product line designed for delivering superior broadband experiences to more subscribers at less cost. Pivotal Commware is the creator of Holographic Beam Forming (HBF), an antenna technology that expands the capacity and spectral efficiency of the 5G ecosystem, from base stations to network and subscriber devices. The Echo 5G product line leverages HBF’s lowest cost, size, weight and power consumption profile to help network operators improve performance, lower costs and compete in new markets. Pivotal's window-mounted, self-installable Echo 5G Subscriber product, for example, will overcome the biggest obstacle to fixed 5G wireless access at millimeter waves -- in-building penetration of Gigabit speed broadband to homes and businesses. Holographic Beam Forming allows Echo 5G to penetrate Low-E glass coatings and multiple panes of glass using very little power, which drives its low weight and size profile on the window. MACOM’s mmWave technology leverages and extends these capabilities. Qualcomm has begun sampling its 2nd generation 5G New Radio (NR) modem chip -- a 7-nanometer device that supports 5G NR mmWave and sub-6 GHz spectrum bands with up to 7 Gbps download speeds and 3 Gbps upload speeds over 5G, and Category 22 LTE with up to 2.5 Gbps LTE download speeds. The Snapdragon X55 5G modem is designed for global 5G rollouts and is expected to hit the market in commercial devices by late 2019. Target applications include premium smartphones, mobile hotspots, Always Connected PCs, laptops, tablets, fixed wireless access points, extended reality devices, and automotive applications. Qualcomm highlights support for all major frequency bands, whether mmWave or sub-6 GHz, supports TDD and FDD modes of operations and is capable of both Standalone (SA) and non-standalone (NSA) network deployments – providing flexibility and enabling virtually all deployment types globally. The modem is also engineered to support dynamic spectrum sharing between 4G and 5G, enabling operators to accelerate 5G deployments by using their existing 4G spectrum holdings to deliver both 4G & 5G services dynamically. 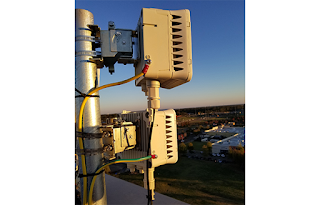 It supports 100 MHz envelope tracking technology, and adaptive antenna tuning for 5G sub-6 GHz, designed for power-efficient connectivity. “Qualcomm Technologies is spearheading the first wave of 5G launches with our first generation 5G mobile platform. With significant evolution in capabilities and performance, our second generation commercial 5G modem is a true testament to the maturity and leadership of our 5G technology. We expect our 5G platform to accelerate 5G commercial momentum and power virtually all 5G launches in 2019 while significantly expanding the global 5G rollout footprint,” said Cristiano Amon, president, Qualcomm Incorporated. The Snapdragon X55 5G modem pairs with the newly announced 5G mmWave antenna module (QTM525), a new single-chip 14nm RF transceiver for 5G sub-6 GHz and LTE, and sub-6 GHz RF front-end modules to deliver the next generation modem-to-antenna solution for all major spectrum bands. The new QTM525 5G mmWave antenna module builds on the innovation of Qualcomm Technologies’ first mmWave antenna module by reducing the height of the module to support 5G smartphone designs sleeker than 8 millimeters thick. The new module adds support for band n258 (24.25 – 27.5 GHz) for North America, Europe and Australia on top of bands n257 (26.5 – 29.5 GHz), n260 (37 – 40 GHz) and n261 (27.5 – 28.35 GHz) already supported by its predecessors. Qualcomm is also launching the world’s first announced 5G 100MHz envelope tracking solution, QET6100, as well as a family of integrated 5G/4G power amplifier (PA) and diversity modules, and the QAT3555 5G adaptive antenna tuning solution. The O-RAN Alliance is preparing to release the first O-RAN standard Open Fronthaul Specifications comprised of control, user, synchronization and management plane protocols. At next week's MWC19 in Barcelona, O-RAN Alliance members will showcase six strategic proof-of-concepts across various member booths covering four key themes: intelligent RAN control, Open Interfaces, virtualization and white box. "O-RAN aligned implementation of Radio Intelligent Controller (RIC) Load Balancing" showcases predictive load balancing using Smart Radio Fingerprint technology that provides opportunities to interoperability using O-RAN architecture interfaces and established industry elements. The solution enables the accurate redirection of UE attachment, optimized load balancing, and improved user experience. This demo is being sponsored and hosted by China Mobile and ZTE at their respective booths. “AI empowered User Quality of Experience (QoE)” showcases predictive user QoE enabled by machine learning micro services chained together, to autonomously recognize traffic types in real-time, predict quality and provide closed-loop network controls resulting in a consistent, high-quality 5G user experience. This demo is being sponsored by China Mobile and Nokia; and hosted in the China Mobile booth. “Open Fronthaul Interface” showcases the use of O-RAN’s Open Front Haul specification with a variety of vendors to achieve interoperability between the O-DU and O-RU enabled by a fully specified control, user, synchronization and management plane protocols. This demo is being sponsored by Verizon, NTT DOCOMO, KT Corporation, SK telecom, Fujitsu, HFR, Intel, Keysight, Mavenir, NEC and SOLiD; and hosted by NTT DOCOMO, KT Corporation, Keysight, Mavenir and NEC at their respective booths. “Virtualized O-CU on Akraino edge cloud orchestrated by ONAP” -- showcases the integration of virtualized CU with a community supported Akraino edge stack blueprint packaged into a “cloud appliance” enabling the flexibility of virtualization and cloud, while retaining the simplicity and low cost of an appliance. This demo is being sponsored by AT&T and Nokia; and hosted in the Nokia booth. “Programmable mmWave White-Box Radio Unit,” showcases a mmWave smart O-RU transmitting a 5G NR signal with 100MHz bandwidth using a 5G open RAN test platform and a 28 GHz ORU whitebox with a beamformed active antenna system to two UEs test emulators. This demo is being sponsored by AT&T, Anokiwave, Ball Aerospace, Xilinx and Keysight; and hosted in the Xilinx booth. “Open hardware reference design for sub 6GHz indoor coverage” showcase two live demos of white-box and general-purpose hardware supporting sub 6GHz indoor coverage deployment scenarios for both 4G and 5G. The first demo is being sponsored by China Mobile, Lenovo, Baicells; and hosted at Lenovo booth. The second demo is being sponsored by China Telecom, Intel, H3C; and hosted in the Intel booth. Telefónica, in conjunction with SEAT and other partners, will present a 5G connected car scenario at the upcoming MWC19 event this month on the streets of L’Hospitalet de Llobregat. Two technologies will be showcased: C-V2X (Cellular Vehicle to Everything) and .C-V2X, which enables assisted driving by allowing the vehicle to communicate with all the elements around it (cars, traffic lights, traffic signals, pedestrians, cyclists, motorcycles...). The 5G network ensures the low latency necessary for the cars to be able to "talk" to the city. 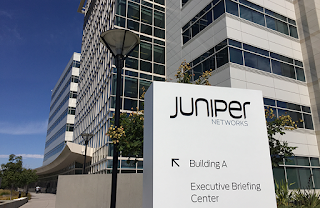 Telefónica provides the end-to-end connectivity and, as a novelty, is opening-up its network so third parties can deploy applications at the edge of the network, such as traffic management for this use case. Ficosa has developed and produced the in-car C-V2X communications platform that allows the transmission of information from the car to any entity that might impact the vehicle, and vice versa. i2CAT was in charge of the development of the ultra-precise location solution for bicycles. ETRA is the supplier of the road infrastructure that provides connectivity with the traffic light system. Mobile World Capital Barcelona, representing 5G Barcelona, is the global supervisor of the project. Ericsson has provided 5G technology and Qualcomm Technologies the 5G connectivity platform both for the network communication and for the direct communication. The project is framed within the 5G Barcelona initiative, aimed at consolidating the city of Barcelona as the reference 5G hub in Europe.